The last biennial EAST FCS Forum was held in The Hague, Netherlands between 11-12th June, 2015. This time <bvk>, as a member of EAST and active participant of EAST EGAF(Expert Group on ATM Fraud), attended the event as an exhibitor. By launching its new ATM security solutions both on anti-skimming and anti-malware; <bvk> seems to be the only solution provider offering the widest security solution spectrum for Zone1, Zone2 & Zone3 Skimmers, and addressing almost all the risks and threats towards cardholders. 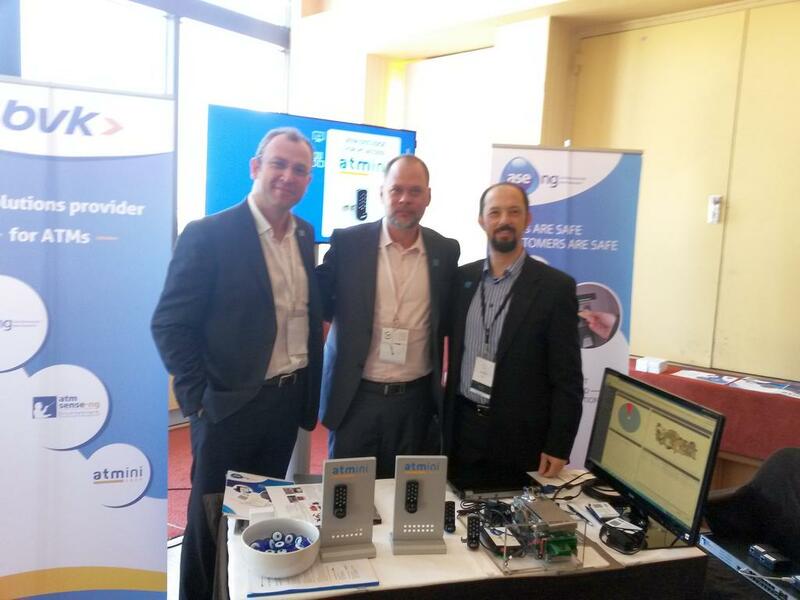 EAST FCS 2015 was an ATM user-driven event that attracted professionals involved with identifying, preventing and detecting security risks and crime relating to ATMs from a wide range of organisations, including banks and police forces. Founded in 2004 and headquartered in Istanbul, Turkey, BVK is an ATM Solutions Company. BVK is specialized in anti-skimming, smart, connected devices, IoT Technologies mainly for ATMs & FIs. BVK therefore has unique solutions; increasing both ATM Security and Operational Efficiency. Today BVK solutions are sold through a distributor network in more than 30 countries. Founded in February 2004 EAST is a ‘non-profit’ organisation whose National Members are committed to gathering information from, and disseminating EAST outputs to, ATM deployers and networks within their countries/regions. While the main focus of EAST is on ATMs, the Group also focuses on all payment terminals that have a direct impact on crime perpetrated at ATM locations.